Silviu Purcarete’s most recent works include a monumental scale production of Gulliver’s Travels at the Edinburgh Festival 2012, as well as the staging of the baroque opera L’Artaserse by Leonardo Vinci for the Opéra National de Lorraine, Nancy, which was also presented by the Opéra Royal de Versailles in spring 2014. In 2015 he directed the world premier of Anton Lubchenko’s opera Dr. Zhiwago. In May 2013 he directed Rachmaninoff’s operas Aleko and Francesca da Rimini at the Teatro Colón in Buenos Aires. Future productions include Love and Other Demons in Budapest, Francesca da Rimini in Nancy and theatre productions in Japan and South Korea. 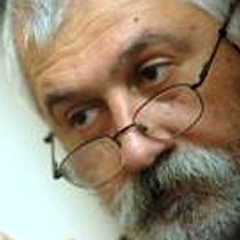 Silviu Purcarete began his artistic career in Bucharest in 1974 and soon earned himself a reputation as a creator of exceptional performances. From 1989 – 1996 he was a member of the ensemble at the National Theatre of Craiova, where he was responsible for developing numerous productions which attracted attention not only inside Romania, but also on tour in guest performances world-wide. Since the early 1990s he has been much in demand as a stage director abroad. He has worked at houses such as the Vienna State Opera (Roberto Devereux), the Vienna Burgtheater (Euripides’ The Bacchae), the Katona Jószef Theatre Budapest, Norske Theatret Oslo (Aeschylus’ Oresteia), the Swan Theatre Stratford-upon-Avon (Macbett by E. Ionesco), the Bonn Opera (Castor et Pollux, Satyagraha, Yevgeny Onegin, Lucia di Lammermoor, A Midsummer Night‘s Dream), as well as at the Biennale Bonn. The Aalto-Theater Essen has presented his staging of Puccini‘s La Bohème, and Scottish Opera performed his interpretation of Richard Wagner’s Parsifal. In 2008 he staged the world premiere of Peter Eötvös‘ „Love and other Demons for the Glyndebourne Festival. This production has since been seen at the opera houses of Vilnius, Cologne and Strasbourg. In the summer of 2009 he created a large scale production of Goethe’s Faust at various venues across the city at the Edinburgh International Festival. Silviu Purcarete has also held the position of Artistic Director of the Bulandra Theatre in Bucharest and the Centre Dramatique National at the Théâtre de l’Union in Limoges, France. He has been awarded several prizes, among them the Critics’ Prize for the Best Staging and the Hamada Foundation Award in Edinburgh 1991, the Prize for the Best Foreign Production 1993 in Montreal, and the Peter Brook Prize for the best staging, which was awarded to the artist at the Golden Globe award ceremony in 1995 for his production of Shakespeare’s The Tempest at the Nottingham Playhouse. In Romania Silviu Purcarete has been decorated with the title Commandeur of the Steaua Romanei Medal and as Chevalier des Arts et des Lettres a by the French government.